Strategically located in Orlando, Florida. We are fluent in English, Portuguese and Spanish. Secure Your Assets in the U.S.A. Honest Approach. Clear Strategies. Smart Advice. Our ORlando law firm focuses on working with local and international clients, individuals or families, and business owners in the areas of Orlando estate planning, immigration, business law, probate, real estate and intellectual property. we help you in making informed decisions that will ensure your short and long term goals are met. Located in Orlando. Serving the world. Paula Montoya Law. From estate planning to estate business and more, knowledgeable guidance and understanding will prepare you for a bright and successful future. Paula Montoya Law is dedicated to establishing substantial results and long term security in all legal aspects of your daily life. We focus on working with both local and international clients, as individuals, families, and business owners in need of trustworthy representation. We help you make crucial and informed decisions that will ensure your short and long term goals are met with noticeable and satisfactory results. We promise to represent our clients with an honest approach, clear strategies and smart advice. Secure your well-being with peace of mind in your legal matters. Call today to schedule your first appointment. Failure to complete preparations for your final wishes puts lifelong achievements at immeasurable risk. Without clear documentation, you force your loved ones to endure the stressful task of managing your assets and paying unnecessary taxes and probate fees. Even if you prepare a will overseas, without due help from a qualified estate planning attorney, it is possible of leaving no means of ensuring that your final wishes are met and your beneficiaries properly protected. At Paula Montoya Law in Orlando, we specialize in the unique intricacies of estate planning. Both local and international estate planning can seem a daunting task with innumerable details and difficult complexities to navigate. However, with the assistance of a qualified estate planning attorney in Orlando you can protect your legacy and eliminate the confusion and costs that so often accompany a disorganized estate. As you begin the crucial steps of the journey to a new life in a new country, you will benefit from representation that is truly compassionate and experienced. Attorney Montoya is a talented professional fluent in English, Spanish, and Portuguese. As an immigrant, a naturalized citizen, and a long term resident of Central Florida, she has a gifted understanding of culture and language and challenges of the American immigrant. Her insight and expertise have made her an invaluable Orlando immigration attorney. Whether you need assistance with obtaining a temporary visa, green card, or full citizenship, competent guidance is available from the region’s most dependable immigration attorney in Orlando. For new businesses just taking off or existing ones reaching for broader horizons, the right guidance from a knowledgeable Orlando business attorney can make a substantial difference. Company start-ups, investment agreements, employment agreements, and trademarks are only a few of the pivotal details that will protect your business endeavors and ensure a profitable future. With over 10 years of comprehensive legal experience, Paula Montoya is able to provide dedication and skills that create a successful environment. Our law firm has flourished, dedicated to the promise of maintaining honest approaches with clear strategies and smart advice. One of the most important decisions that you will make in life when it comes to your legacy is how to plan to have your estate divided up among relatives and family members. Ensuring this is done properly, efficiently and without question is a key to preventing family disputes, ruined relationships and extended periods of time in which your family is engaged in probate court. Obtaining a qualified Orlando estate planning attorney is the most important step to protecting yourself and your loved ones. When we get into the legal arena for immigrants and foreign nationals it becomes even more imperative to hire an Orlando estate planning attorney that is familiar with international estate planning. Paula Montoya Law specializes in both estate planning and international business planning, so you can rest assured that we know how to plan your estate and business to avoid having the lion’s share taken away by the federal government. Currently, American citizens and green card holders are shielded from the estate tax for fortunes up to $5.49 million dollars, meaning they pay no taxes on the first $5.49 million that is transferred to their heirs. After that amount, without proper Orlando estate planning, you will be subject to a 40% tax rate. But what about non-residents of the U.S. (also known as NRAs)? Surprisingly, without proper Orlando estate tax planning, a NRA will be subject to tax on their estate for anything over $60,000 in value. But, there are options available to mitigate this incredibly low limit on assets and wealth subject to the U.S. estate tax. As an Orlando estate planning lawyer and an Orlando business attorney, we know ways to structure your estate so that your loved ones are not left with essentially half of what you worked so hard to obtain while living in the United States. These methods are intricate and involved, so it is imperative that you get in contact with Paula Montoya Law today to start planning your Orlando estate as a non-resident alien or non U.S. citizen. Is Your Orlando Estate Planning Where It Needs To Be? Wills - Last Will and Testament discloses how you want your assets and wealth distributed to people in your life. These can include children, grandchildren, nieces, nephews, spouses, friends and charities. The Last Will and Testament can also dictate who takes care of your children as their guardian in the event of an untimely death. Without a Last Will and Testament, your assets will be subject to Florida Law and may not end up being distributed the way you would prefer or intend. Make sure you consult an estate planning attorney in Orlando to have this document properly drafted. Trusts – A Trust may avoid the probate process and control how assets are distributed to your beneficiaries over time. Trusts are not public documents and are not filed with probate so you have the added benefit of privacy from government onlookers. Trusts can also help in shielding your assets from taxation and you can even have a revocable trust that names yourself as a trustee with complete control over the trust until your death. An experienced Orlando estate planning attorney will know how to properly establish trusts for you and your family. Powers Of Attorney - This can become extremely important in the event of loss of cognitive thinking ability in cases such as dementia or a debilitating accident. Powers of attorney allows the designated individual to make decisions on behalf of yourself in the event you are unable to do so yourself. Having an Orlando estate planning attorney properly set this up and designate the best candidate can be imperative to protecting your assets in the event you can no longer make the best decisions for your estate. 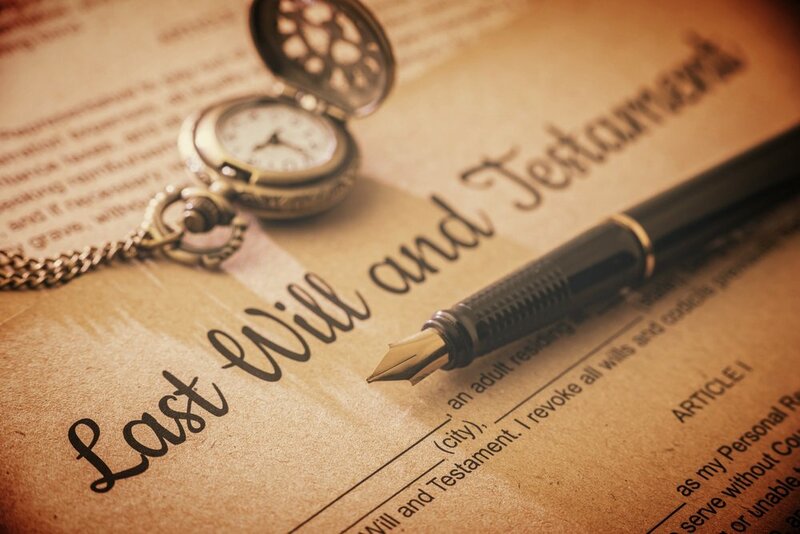 Living Wills - A living will is very important to have drafted by an estate planning attorney in Orlando in order to make sure that your family and the courts know what to do in the event that you are in a terminal, vegetative or end-stage condition. Having situations like these pre-planned will take the burden off of your family members to try and decide what to do should you be in a position where you may never recover and regain consciousness. Probate - When you pass, your Last Will and Testament will dictate how your assets are distributed, or if you have no will your assets will be distributed according to Florida law. This process takes place in a Florida probate court. Having assistance and guidance by a qualified Orlando estate planning attorney will give your family peace of mind and assurance that your wishes are being fulfilled the way they were meant to be. Paula Montoya Law have several years of Orlando estate planning as well as business planning, serving both local and international clients. With both of these areas part of our expertise, you can rest assured that we will explore all avenues available to you and your family to ensure that your legacy is preserved and properly handed down to the next generation. Contact Paula Montoya Law today at (407) 906-9126 today to get your estate planning in order.